Some of the benefits of setting up a real estate LLC include the limitation of personal liability and pass-through taxation, as well as some lesser-known advantages. Following state regulations to set up a real estate LLC can be pared down to 5 easy steps. Investors should understand how real estate LLCs compare to other types of legal entities. Starting a real estate LLC has become a time-honored tradition of today’s most prolific entrepreneurs. If for nothing else, there are few vehicles capable of protecting a new business owner from both themselves and the malicious intents of others. A limited liability company, or LLC for short, is a legal entity which qualifies to obtain a tax identification number and operate as a business. Members who form the LLC – the owners – are not personally liable for debts or other types of liabilities incurred by the entity, thus the name “limited liability.” Although the enactment of LLCs can be traced back to the 1970s, real estate investors really began to take interest in real estate LLC benefits over the past decade, as a tool to reduce personal exposure to monetary and legal risk. The ownership of investment property through an LLC is also accompanied by significant tax benefits and an ease of administration not witnessed by other legal entities. While they are not the only option for consideration, most real estate investors find the benefits offered by LLCs to be the most accommodating. In other words, if you want to learn how to start your own business, it couldn’t hurt looking into LLCs for your own protection. Truth be told, LLCs can be intimidating to the first-time business owner, and for good reason: they are the legal foundation on which your entire company is built. It’s worth noting, however, that starting a real estate investment LLC doesn’t need to be as daunting as a task as many make it out to be. Yes, they are integral to the start of a new business, but that doesn’t mean you have to be scared of them. Instead, mind due diligence and embrace the advantages LLCs can provide for you and your company. Setting up a real estate LLC has become increasingly popular in the last decade, and for good reason. By incorporating their businesses, real estate investors can not only gain access to unique benefits, but can enhance the long term health of their businesses. Real estate LLC benefits include, but are not limited to, the protection of investors from personal liability, pass-through taxation and the building of credit for your business. Furthermore, those wondering how to set up a real estate LLC will be pleased to find out that they are relatively easy to register. The sections below will expand upon each of the main real estate LLC benefits, along with some of the lesser-known perks that should be known. Investing in real estate is a rather lucrative career choice. There is traditionally a lot of money involved in every deal—at least more than the average individual can cover on their own accord. Having said that, it is absolutely imperative for respective investors to protect their personal finances (those outside of their business finances). 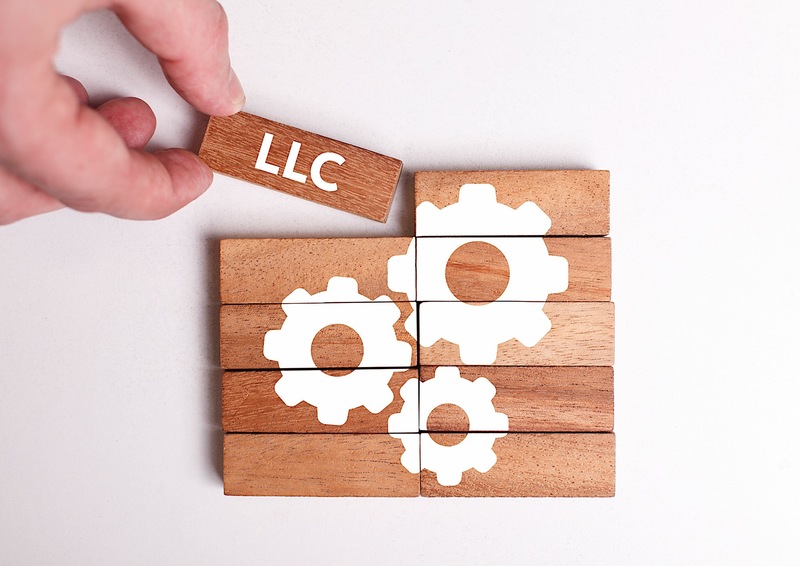 First and foremost, LLCs limit personal vulnerability to potential lawsuits related to the property, which is perhaps the most intriguing aspect of starting an LLC. Any lawsuit that comes against an LLC is aimed specifically at the company, not the individual responsible for it. If the property in question were owned by an LLC, the owner’s risk exposure would be insulated by the protection of the company, leaving only the assets owned by the LLC (as opposed to all of the owner’s personal assets) exposed to potential lawsuits. In other words, personal finances would not be in jeopardy. Assuming liability coverage is the most important factor of forming a real estate LLC, taxes are a close second. In fact, some real estate investors consider framing their business structure as an LLC based solely on tax benefits. Liability protection may just be an added bonus to some. A 1988 court ruling enabled real estate investors to avoid double taxation by acquiring property through LLCs. As defined by the default tax classification rules, the Internal Revenue Service (IRS) classifies a real estate holding company with one owner in the same way they would a sole proprietorship, otherwise more commonly referred to as a “disregarded entity.” Accordingly, any income and capital gains generated by the LLC would transcend to the owner, who, as a result, would only have to pay taxes as an individual. However, the respective owner still enjoys the protection against liability. It really is the best of both worlds. Seeing as how there is no separate tax accompanying the formation of an LLC, business owners are in a position to avoid double taxation. Neither the rental income generated by a property, nor the appreciation in value upon disposition incurs tax penalties. Additionally, the owners of a single-member LLC can use mortgage interest as a deduction around tax time. In forming an LLC, you are not only subjected to fewer taxes, but you are awarded more deductions. Real estate companies owned by more than one person, however, are viewed differently in the eyes of the IRS. Otherwise known as “multimember” LLCs, these business entities are taxed similar to that of a partnership. 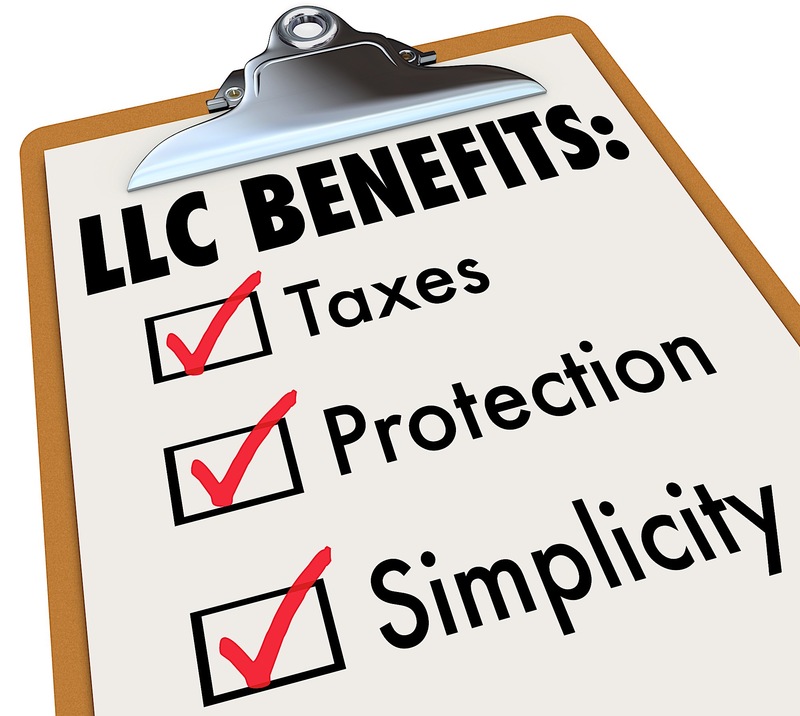 Multimember LLCs also enjoy the benefits of pass-through taxation as the LLC passes its profits and losses through to its members. Each respective owner is then responsible for reporting their share of the profits (or losses) on either a Schedule C, K or Form 1065 with their individual income tax returns. As the owner of an LLC, single-member or multimember, you are entitled to the benefits of pass-through taxation. Again, all of these tax benefits are in addition to the liability protection shield that was previously discussed. The structure presented by an LLC makes delegating management responsibilities and positions a lot easier. Whereas a corporation is statutorily required to have officers and directors, LLCs are free to be managed by their owners, or even a third-party. There are a lot of states that impose additional fees on the authorized number of shares a company has. While LLCs are still subject to these fees, they may pay less than corporations. State registration and maintenance fees are therefore lower for businesses structured under an LLC. LLCs award real estate investors the ability to exercise incredible flexibility during profit distribution. Unlike that of an S Corporation, LLCs do not have to be pro rata (in proportion) in the distribution of cash flow. In other words, members of an LLC have the ability to financially reward the “sweat equity” put forth by a specifc individual. Unlike that of an S Corp, LLCs promote foreign ownership and investment in U.S. real estate. The structure of an LLC makes it easy for anyone to transfer ownership. Real estate holdings can actually be “gifted” to heirs each year, without actually going through the process of signing a deed. In fact, gifting property allows owners to avoid certain taxes. Choose a business name: First and foremost, you will want to research your state’s rules on setting up an LLC, such as through this guide provided by the U.S. Small Business Administration. The first step is selecting a business name, which will always be followed by a comma and the letters “LLC.” Make sure to run a search to make sure that your desired business name is not already taken. File the “Articles of Organization”: Once the business name and business address are determined, a document entitled the “Articles of Organization” must be filed with your state’s LLC office, typically the Secretary of State. The document is often available as a simple, fillable form that can be found on the Secretary of State website, along with submission instructions. Once prepared, the document can be submitted by mail or in person with a filing fee. Create an Operating Agreement: An LLC Operating Agreement is not formally filed with the state, but should document how the LLC will be organized and run internally. This may include the method of choosing managers, rights and duties of members, and how profits or losses are distributed. Publish your intent to file: Although required only by a few states, find out whether or not you are required to publish an intent to file through your local newspaper. Otherwise, your LLC is considered officially formed once your Article of Organization are accepted and approved by your Secretary of State. Obtain required licenses and permits: Once your LLC has officially been set up, you can take your process a step further by obtaining any businesses licenses and permits that might be required. In addition, do not forget to apply for a tax identification number, through the IRS, for your new business. Owners are only personally liable up to the amount invested in the corporation. Owners have the option of either participating as a manager or solely as a passive investor. There is no limit on the amount of shareholders a corporation can have at a given time. The transfer of ownership is relatively easy. All an owner has to do is sell their shares. Corporations transcend the life of their owners. Despite the loss of an owner, the corporation will continue to exist. S Corporations are privy to many of the same benefits exercised by C Corporations. Thanks to a special tax election, S Corporations avoid double taxation. No extra tax filing requirement, as profits or losses can be reported on the owner’s tax return. Perhaps you are not sure if forming an LLC for real estate is the right fit for you, or perhaps you are considering taking out an insurance policy instead. Rightly so; just because LLCs offer a multitude of benefits to real estate investors and their particular industry, it does not mean they are the right choice for every investor. Keep in mind that the field of real estate investing is incredibly diverse, and it would be nearly impossible to find one legal entity that protected every business. Having said that, many investors believe the threat of a theoretical lawsuit does not warrant the commitment required to start an LLC. Those of this school of thought may be more inclined to inquire about affordable liability insurance. Having said that, entrepreneurs that rely solely on insurance as a means of protection take on ill-advised risks. 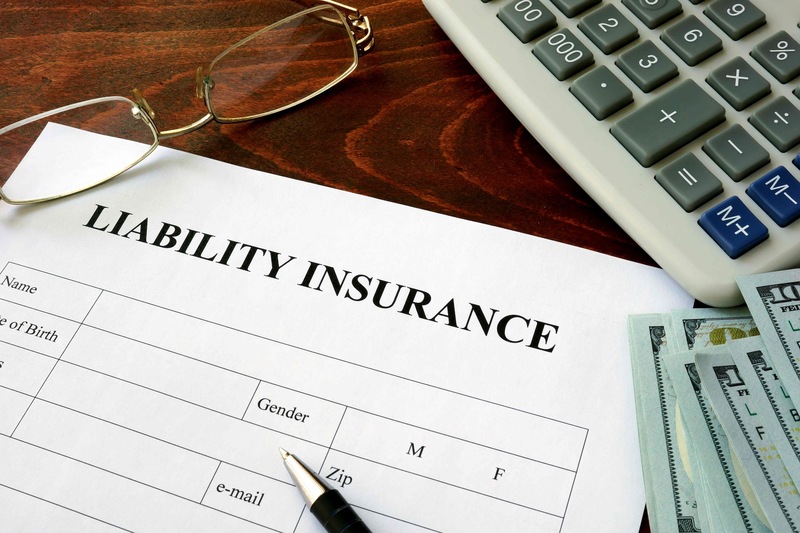 It is not uncommon for the average liability insurance policy to have limitations, exceptions and addendums that convolute coverage. Essentially, liability insurance does not cover all your corners. While the chances of a lawsuit being filed that exceed the limitations of your policy are remote, they are by no means impossible. Of particular concern, however, are the devastating effects that can result from a lawsuit that is not covered by your policy. On the off chance your policy does not cover a situation, the consequences can be devastating to a real estate investor’s business. Current laws make the prospect of forming a real estate LLC very intriguing to real estate business owners. While they may require more effort on your part, there is no denying the positive impact they can have on a business. They provide a lot more protection for business owners than liability insurance. But the real benefit is the peace of mind. Investors can sleep comfortably knowing they are safe. I Set Up My LLC – What’s Next? Obtain an Employee Identification Number (EIN). Get your business licensed and permitted. Now that you have set up your LLC, you may be wondering what steps to take next. The steps outlined above are mechanisms that will help protect your business in more ways than you could possibly imagine. Get started by establishing employer identification number (EIN), otherwise referred to as a federal tax ID, which is a unique number assigned to businesses by the Internal Revenue Service (IRS). When applying for your EIN, you will need to provide the type of entity you are starting, as well as the date it was founded. Obtaining an EIN is required by the IRS, and will allow your LLC to open a business bank account, protect against identity theft, and build credibility as a sustainable business. Not unlike the federal tax ID, applying for a business license or permit is not associated with the same process of forming an LLC. That means you will need to remain diligent in your efforts to run a legitimate business and file for a business license or permit on your own accord. Consequently, there is a fine for operating a business without them. To help clear things up, SBA.gov has identified state-specific license information. To be certain, however, be sure to contact your local municipality and follow their recommendations. 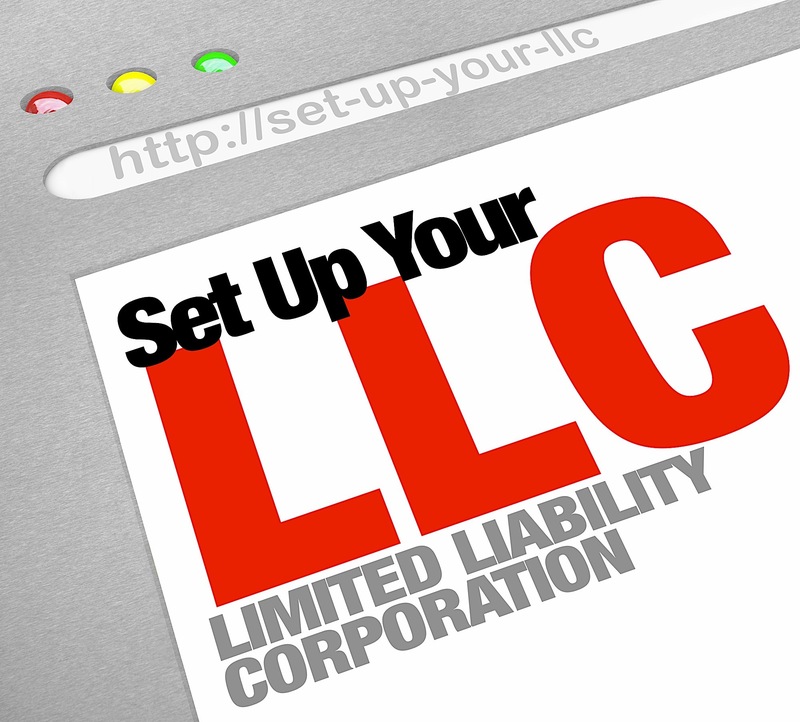 If you have already formed an LLC, you are required to open a separate account. In doing so, you separate your personal finances from your business finances, something that can go a long way in asset protection. Simple as it may be, diversification is a viable protection strategy. In the same vein as opening a separate bank account, newly acquainted LLC owners will want to apply for a company credit card. This is to maintain the “corporate veil” that protects your personal assets and differentiates business expenses from personal ones. Having a company credit card essentially eliminates the possibility of record-keeping confusion and placing all of your eggs in one basket. As a real estate investor, you should be aware that your particular industry is prone to risk. Without sounding too negative, there is simply no way to eliminate all risk associated with starting a real estate investment company. However, with the right education and legal entity, you can effectively mitigate a great deal of risk. Accordingly, complying with the formalities set forth by an LLC will protect your business from a great deal of threats. After having gone over the basics, you now are equipped with an understanding of the benefits of starting an LLC for real estate, how they compare to other legal entities, as well as the difference between an LLC and liability insurance and which option is best for your business. Once you have decided that setting up a real estate LLC is right for you, be sure to review the general steps you need to take to set up your LLC, and your business will be up and running, and protected, in no time. The post How To Start A Real Estate Holding Company appeared first on FortuneBuilders.